Brussel Sprout Stir Fry is extremely easy and fuss-free to cook. 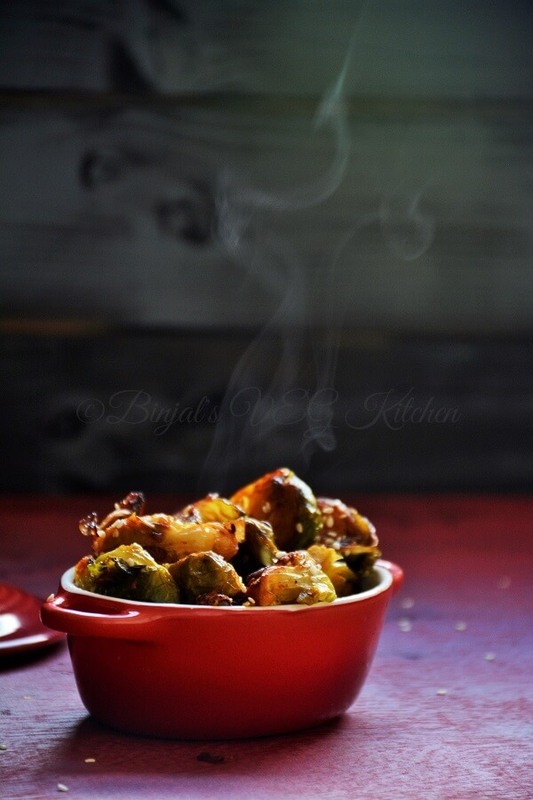 Brussel Sprout Stir Fry is quick and the simple Indian way with minimum ingredients. I made Brussel Sprout into a stir fry. 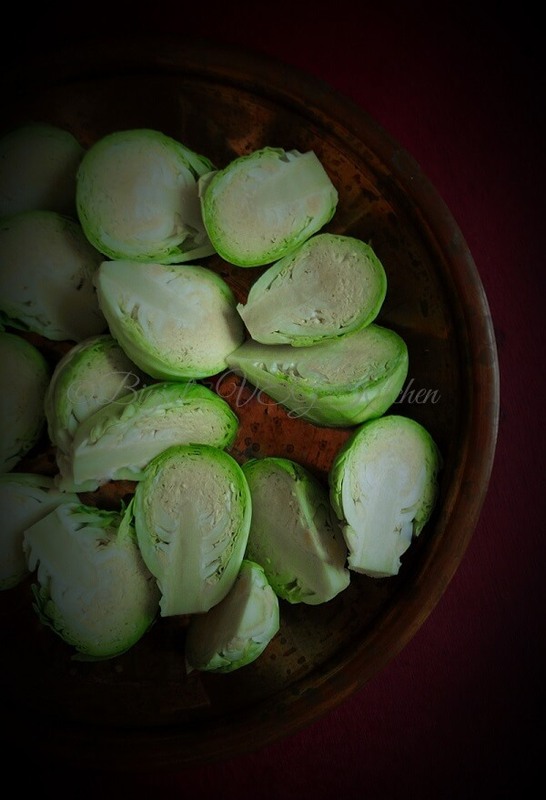 Brussel Sprout is a member of the Gemmifera Group of Cabbage, grown for its edible buds. The leafy green vegetables are typically 2.5–4 cm (0.98–1.6 in) in diameter and look like miniature cabbages. The Brussels sprout has long been popular in Brussels, Belgium, and may have originated and gained its name there. 1. Wash and drain Brussel sprouts, cut into half and keep aside. 2. Heat the oil in a deep pan, add cumin seeds, chopped ginger, chopped garlic and sauté for few seconds till golden brown. 3. 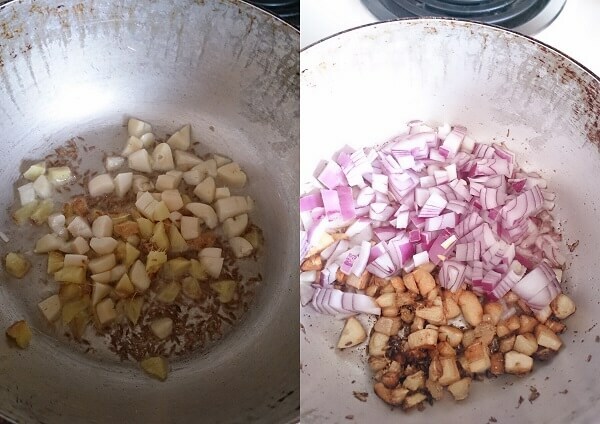 Add chopped onion and sauté till transparent. 4. Add chopped Brussel sprouts, turmeric powder, red chili powder, salt, stir it and mix well. 5. Cover the lid and cook Brussel sprouts till tender on low flame and stir it occasionally. 6. Now remove from the flame, add lemon juice, mix well and serve. 7. 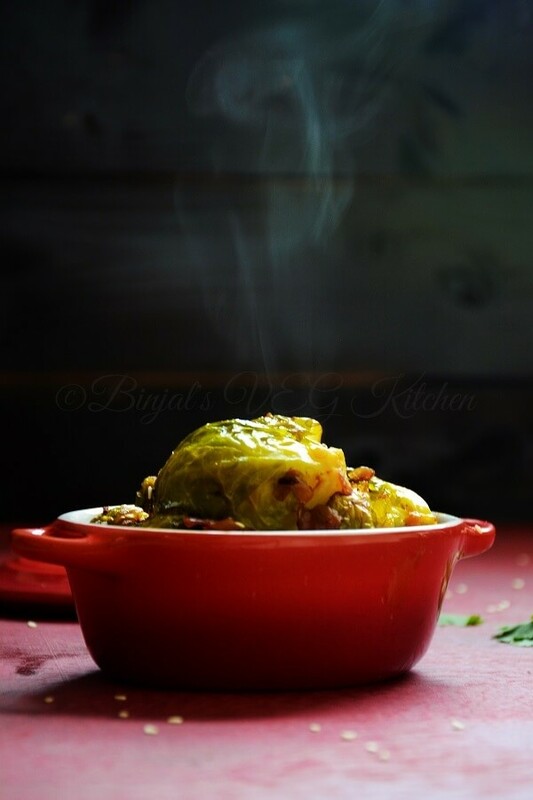 Brussel Sprout Stir Fry serve with roti, or flat bread as a side dish. Brussel Sprout Stir Fry is extremely easy and fuss-free to cook. Brussel Sprout Stir Fry is quick and the simple Indian way with minimum ingredients. I made Brussel Sprout into a stir fry. Brussel Sprout is a member of the Gemmifera Group of Cabbage, grown for its edible buds. The leafy green vegetables are typically 2.5–4 cm (0.98–1.6 in) in diameter and look like miniature cabbages. The Brussels sprout has long been popular in Brussels, Belgium, and may have originated and gained its name there. Wash and drain Brussel sprouts, cut into half and keep aside. Heat the oil in a deep pan, add cumin seeds, chopped ginger, chopped garlic and sauté for few seconds till golden brown. Add chopped onion and sauté till transparent. 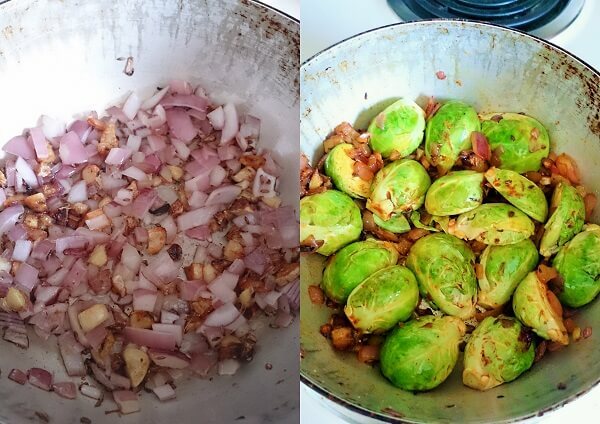 Add chopped Brussel sprouts, turmeric powder, red chili powder, salt, stir it and mix well. 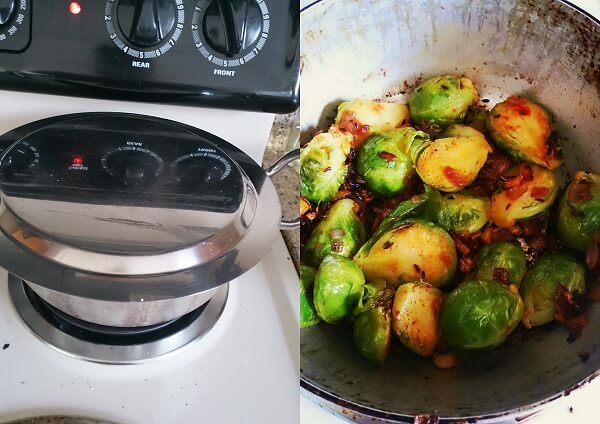 Cover the lid and cook Brussel sprouts till tender on low flame and stir it occasionally. Now remove from the flame, add lemon juice, mix well and serve. 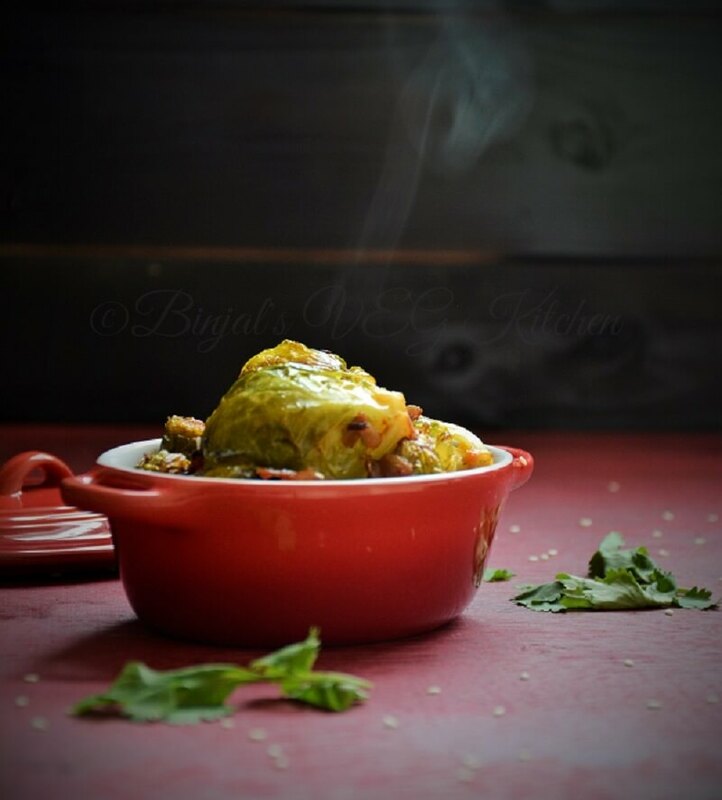 Brussel Sprout Stir Fry serve with roti, or flat bread as a side dish.